A typical car auction can bring to mind images of buyers strolling around a big lot looking at lease and rental returns. Blenheim, Ont.-based RM Sotheby’s does things differently. Instead of used Silverados and Camrys, it auctions off restored classics from the likes of Porsche and Le Mans. And instead of selling vehicles out of an auction house, it prefers to do so at prestigious events such as the Pebble Beach Concours d’Elegance, held every August in California, that attracts buyers of blue-chip cars from around the world. RM Auctions, which partnered with Sotheby’s in 2015, brought in $688 million in sales revenue to the company last year on the sale of 784 vehicles, 113 of which sold for more than $1.3 million each, and six of which sold for more than $13 million each. That’s not bad for a company based in a town of less than 5,000 people. 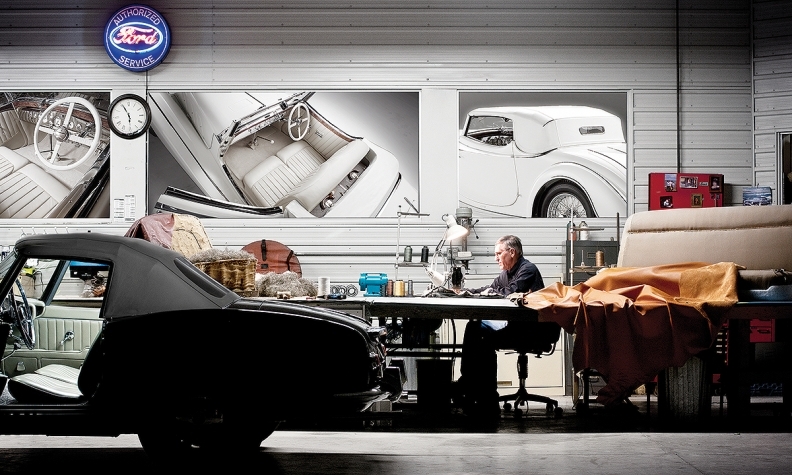 RM began in 1976 out of founder Rob Myers’ garage as a vehicle restoration business. Over the next 15 years or so, the company – and its sales figures – grew at a rapid pace, to the point where it started its own auction company, RM Auctions, in 1991. This 1955 Jaguar D-Type sold for $28.6 million in August during Monterey Car Week in California. Beginning with the first RM auction in Toronto in 1992, the company has added auction locations around the world, including Monterey, Calif.; Hershey, Pa.; London, Paris and Monaco. Much of RM’s auction business is completed each year at its annual flagship auction in Monterey, Calif., during the Pebble Beach Concours weekend. 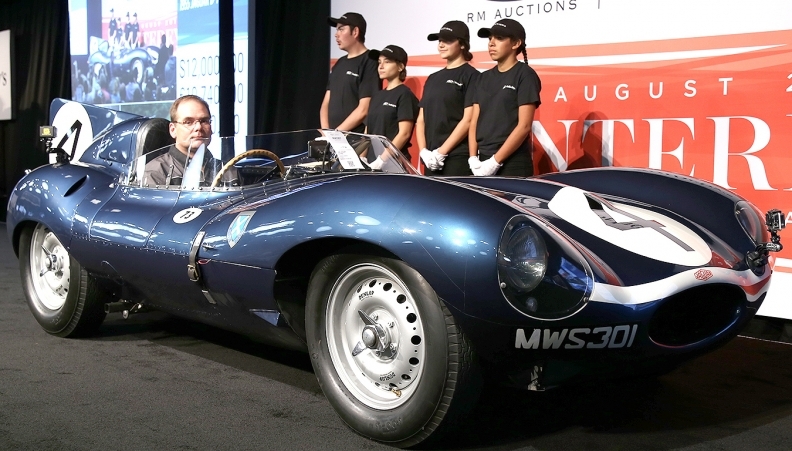 This year’s Pebble Beach show brought in $154.5 million Cdn for RM Sotheby’s, a decline of 32 per cent from 2015, the company said in a press release. Sales during Monterey Car Week among all auctioneers declined to $445 million from $518.8 million in 2015, as uncertainty stemming from the U.S. presidential election and global economic concerns put a damper on sales, according to data from Hagerty Group, a classic car insurance company. Still, RM was able to sell 21 vehicles at more than $1.3 million per car. The highest final prices include $28.6 million for a 1955 Jaguar D-Type, a world record for an auction-sold British car, and $25.9 million for a 1939 Alfa Romeo 8C 2900B Lungo Spider, the highest price ever for a pre-Second World War vehicle at an auction. 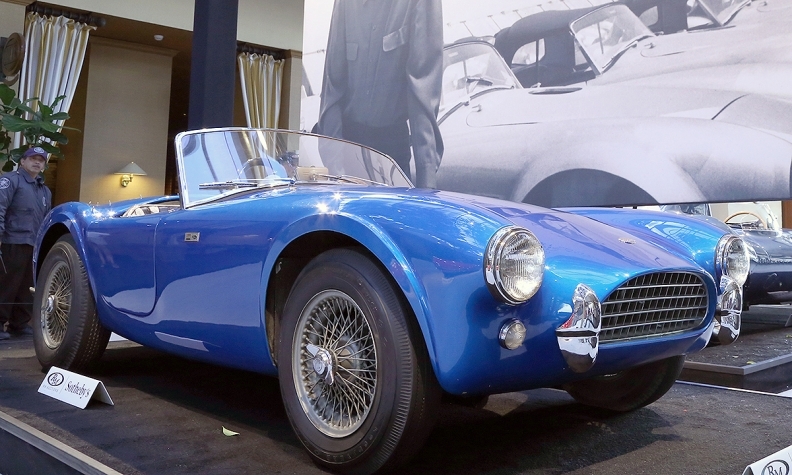 RM Auctions sold the first Shelby Cobra every built for $18.1 million. It's a 1962 model and the amount was a record high at auction for an American car. RM auctions also sold the original 1962 Shelby Cobra for $18.1 million, which is a record high for an American car at auction. “Just to be able to see the car in person was remarkable,” Squindo said. RM said it had bidders in Monterey from 27 countries. Squindo said RM’s partnership with Sotheby’s has driven up global interest in its car auctions, especially in Asian markets, thanks to the brand’s reputation in the art world. 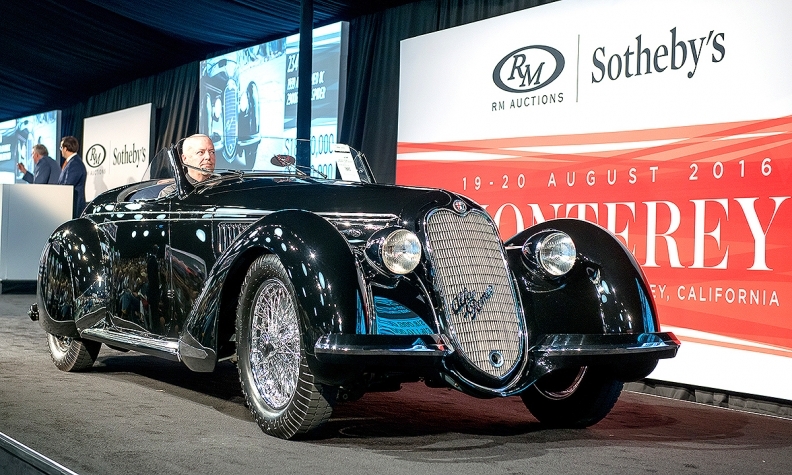 This Alfa Romeo sold for $25.9 million, which is the highest price ever paid at auction for a pre-Second World War car. Despite the spike in global interest, Squindo said RM Sotheby’s has no current plans to expand its auctions into the Asian marketplace, though the company is constantly evaluating where it can expand. He said factors including taxation and import regulations would weigh heavily on any decision. In the meantime, much of RM Sotheby’s business remains centred in North America, especially among buyers based on the U.S. West Coast. Still, Squindo said Canadians play a “significant” role in its auction business, singling out buyers based in metropolitan areas such as Toronto and Vancouver. “There’s a good appetite for sports cars” in those regions, Squindo said. Like its restoration company, Squindo said, RM Sotheby’s auctions emphasize the quality of the cars it sells over the quantity. He said unlike other auction companies that aim to sell thousands of vehicles, its targets are lower; it sold 794 in 2015. Squindo said RM Sotheby’s can spend up to six months carefully researching, pricing, cataloguing and advertising vehicles prior to an auction. “In that respect, our auctions are no different than the art auctions that Sotheby’s puts together,” he said. It is that artsy approach to auctioning off classic vehicles that sets the company apart from other vehicle auction companies, Squindo said. “Our approach is a bit more discrete,” he said.